5. Matching global hits with a growing interest in studio technology, Stevie recorded an album of instrumentals in 1968. Using the name ‘Rednow Eivets’ — ‘Stevie Wonder’ backwards — the record slipped out under the radar. An important stepping-stone, it came just a few months after Stevie Wonder jammed with Jimi Hendrix during downtime at the BBC. Uniting two titanic black American talents, the moment was to have a profound impact on Wonder’s career. 6. Stevie Wonder really came of age in 1972 when he released ‘Music Of My Mind’ and ‘Talking Book’ — arguably two of the finest albums ever made — within months of one another. However the success belied almost two years of arguments with Motown boss Berry Gordy who refused to endorse his star’s embrace of the album format. Stevie Wonder won, and shattered chart records. 10. An early adopter of the Moog synthesiser, Stevie would go on to own the first ever E-mu Emulator — effectively, the first easy-to-afford sampler. 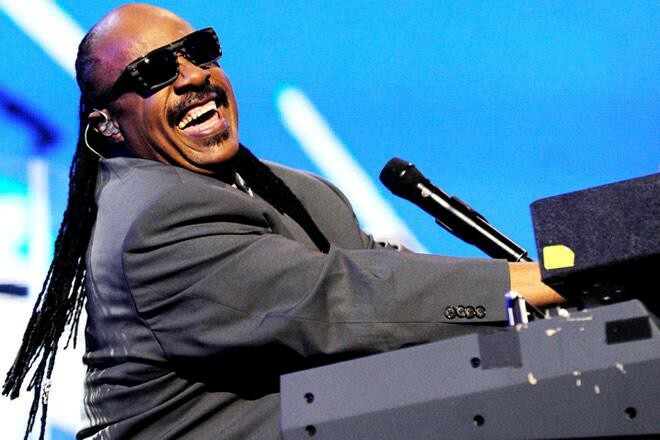 Later a staple of the emerging house and techno scenes, Stevie Wonder got there first. Again.